Member Nights (free admission for members): November 26, 27, 28, 29, 2018, and Jan. 7, 2019. Learn more about Garden Membership and member privileges, including special ticket pricing (it may be your best deal). 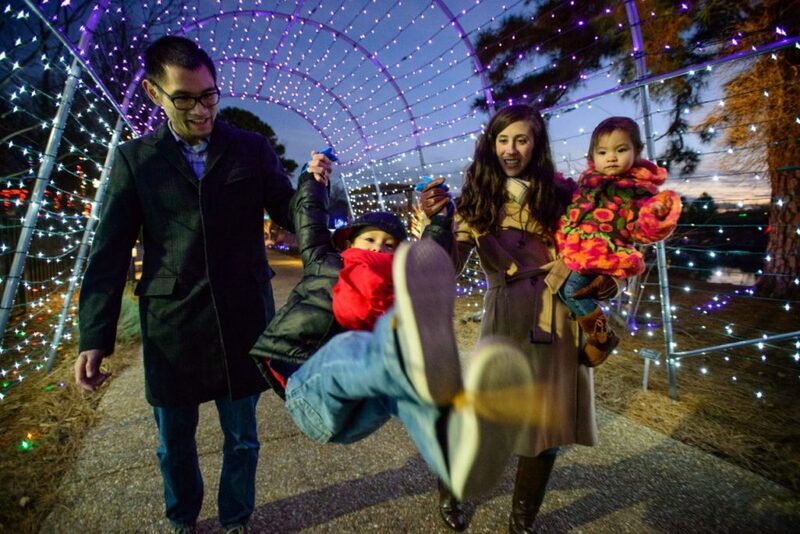 On Member and Volunteer Nights, Garden Members and Garden Volunteers get into Dominion Energy GardenFest of Lights for free. View our tips for a great visit, and tips for visiting with children. Member and Volunteer Nights* feature informal guided tours of our historic Bloemendaal House, featuring Victorian-style and botanical decorations, from 5 – 8:30 p.m. Plus enjoy live music at Bloemendaal House from 6 – 7:30 p.m.
*Except for November 29, when Bloemendaal House will be closed. Members and volunteers are FREE on Member Nights. This includes adults admitted on the membership and all children on a Family or Friends membership. Sign up as a Garden Member now to take advantage of these special nights! Members and volunteers may purchase up to 4 tickets at the Member price for non-member guests, after which they may purchase up to 4 MORE tickets at the Member guest price (valid that Member Night only). Garden volunteers, be sure to bring your badge! Please note: Members and volunteers also get discounted pricing when visiting Dominion Energy GardenFest of Lights on non-member and volunteer nights. It's the biggest discount of the year in the Garden Shop -- for Garden Members only!